Athens, though it’s tucked in the hills of Appalachia and an hour away from a major city, contains a packed history of events and motions in regard to prejudices and progressions of African Americans. As a city near the state border, Athens played an important role as a stop on the Underground Railroad, according to a previous Post report. It was one of the first stopping points runaways made after slave-state Virginia but prior to West Virginia’s separation from it during the Civil War. Even in the early 1800s, African-Americans made a mark in Athens. Violet Burrington arrived in 1803 and was the first African-American resident of Athens, according to Southeast Ohio Regional Freenet. Edward Berry was another prominent African-American and was one of the first millionaires in Athens, Akil Houston, associate professor of cultural and media studies in the African American Studies department, said. Berry owned the Berry Hotel, which was a meeting place for both black and white students and townspeople. In 1824, a young John Newton Templeton, who was born on a plantation in South Carolina and later freed, enrolled at Ohio University. He became the first African-American in the state to receive a college degree. But just because Athens didn’t sit in the Deep South didn’t mean it was without the worst expressions of prejudice. A man named Christopher Davis was hanged and killed in 1881. Davis had been accused of attempting to murder someone named “Mrs. Lucky.” A group of men broke into the jail where he was held and took him to the Old South Bridge. The men told Davis if he confessed to his crimes, he would be taken back to the jail. Davis said, “I’m the man.” But someone said, “Throw him off,” according to an 1881 article from the Cleveland Herald. Jeffries estimates about 15 lynchings occurred in Ohio between the years 1850 to 1921. African-American families who lived in Athens during that time sometimes tried not to draw attention to their differences. Some would identify with their European or even Native American heritage. Identifying as African-American was last on the list, Houston said. 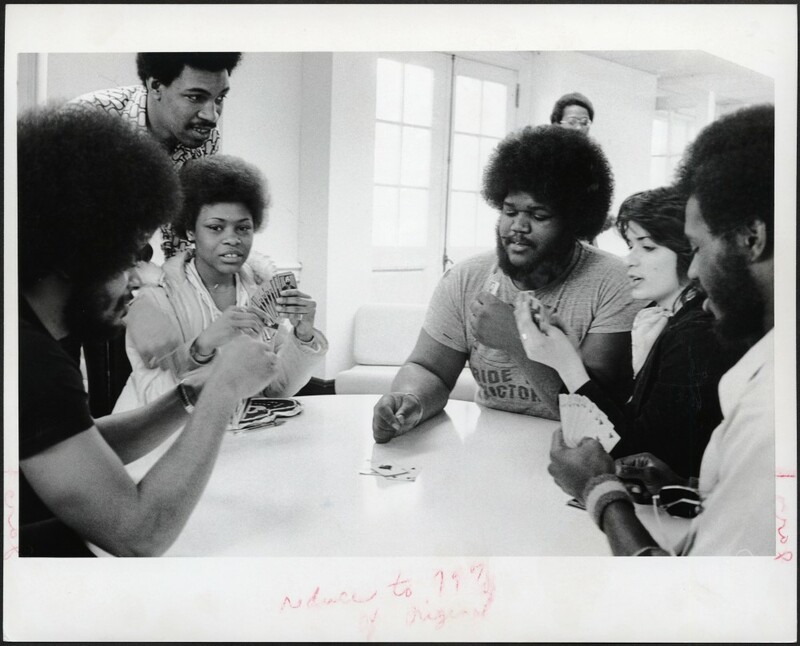 Students play cards in the Black Student Center in the 1970s. At the same time, there were people in Athens who looked white and worked for the NAACP. Two couples — one who appeared white and the other more identifiably black — worked for the NAACP and would go to segregated hotels and other businesses and compare how they were treated, Houston said. As the city continued to discriminate, so did the university. The Board of Trustees in 1923 stated that African-American students from the South who were not accepted in Southern universities would not be accepted at Ohio University either, limiting the enrollment of students of color. The policy also stated that “perhaps a cottage” may be set aside for students of color in the future if the numbers continue to increase. When black students were allowed to live in the same buildings as white students, there was still a race preference checklist that students could mark. Legal desegregation did not officially occur until 1963. 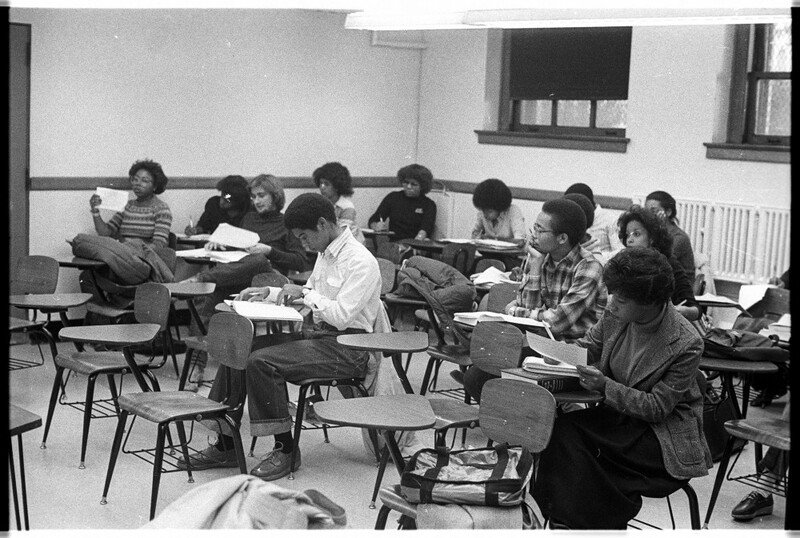 Students sit in a Black Studies class in 1970. African-American students were very active in Athens with regard to social movements. For instance, a 1965 Post article read, “Seven students leave for Alabama march,” referring to the historic march in Selma. “There was discrimination, and there was a push against discrimination,” Bill Kimok, university archivist and records manager, said. With a push from students, faculty and the NAACP in Columbus, the university did later play a role in progress made with desegregation. When different restaurants and businesses refused to serve African-Americans, sometimes the university would intervene and ensure everyone was served. Different organizations also formed that would speak for African-American students and advocate for equality. For example, Kappa Alpha Alpha, a black sorority, was established in 1955, according to The History and Status of African Americans at Ohio University. 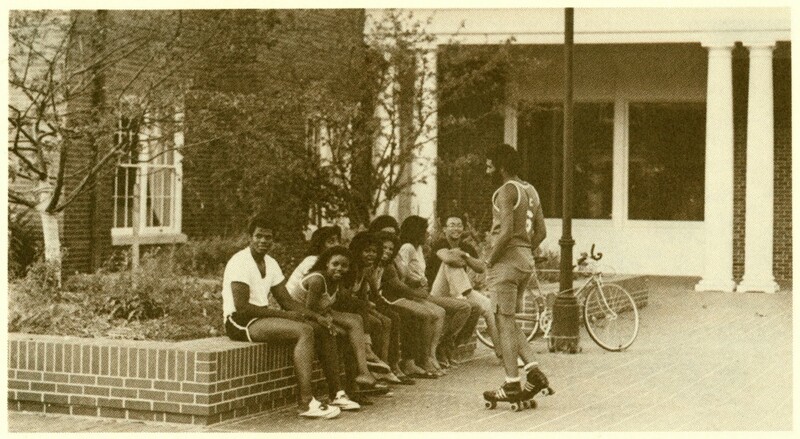 Black Culture Week was held by the Black Studies Institute in 1970 to show different contributions made by African-Americans. A newspaper called Afro-American Affairs formed in the 1970s as a “critical voice of the black community.” According to university archives, the paper used to publish twice a month, but by the mid-1970s, publishing lessened to once a semester. In the late 1960s, black students made six demands to President Vernon Alden, including hiring a black administrator to help black students, providing financial aid if necessary, expanding black curricula in classes and admitting more black students to the university. Alden agreed to meet with them and moved some of the demands forward. He did it without violence or arrests, which was different from other universities, as student protests were often met with punitive responses from the university. Many of the issues that faced black students in the ‘60s and ‘70s, Jeffries said, can still be seen today. 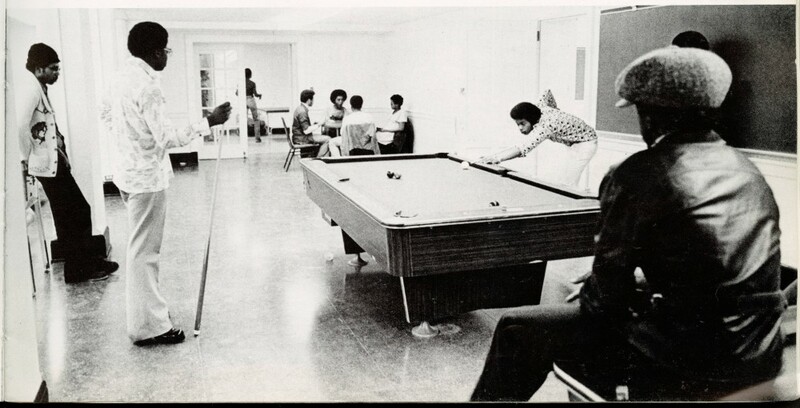 The Black Student Center was located in what is now Lindley Hall in the late 1970s and provided a meeting place and recreational facilities. It was later known as the Lindley Cultural Center where different cultural programs were hosted. Jeffries also noted that the curriculum across campus lacks diversity in terms of their offerings, and whole departments are completely made up of white faculty members. Athens and the university as a whole may have made drastic progress since the ‘60s. More African-American students are enrolled in the university now, and they may not have to worry about being turned away from restaurants. “But there are still challenges that we just have not dealt with as a university that still needs some attention,” Jeffries said. Correction: A previous version of the article stated Alvin Adams was the first African-American to graduate from Scripps. The article has been updated to reflect the most accurate information.